There are four skills that every Internet marketer MUST have if they hope to be successful in any type of Internet based business. Without these skills you will always need someone to help you realize your vision. This can be very expensive and extremely frustrating. If you have some Internet marketing experience then you know that building a website that perfectly expresses your business is almost impossible to outsource in a timely and cost effective manner. You also know that having a website is only the first step. Once you have your website you then have to get traffic to your website. When you have your traffic you then have to convert that traffic into sales or signups. Unfortunately too many marketers are lacking in one or more of these essential Internet marketing skills. In fact, 100% of those who fail in their attempts are lacking in 1 or more of these skills. On the other hand close to 100% of those who succeed at the highest levels all have a firm grasp of most, if not all, of these skills. Which one of these situations applies to you? Over the past 18 months I've been working with some of the most successful Internet marketing gurus today. We have put together individual courses that are laser focused on teaching everyone from complete newbies to seasoned marketing experts, the 4 most essential skills necessary to succeed in any Internet (or even offline) business. Because I'm so excited about the finished products, I want to give you an opportunity to get ALL FOUR OF THESE AMAZING COURSES for less than the cost of just one of them! Get access to our 51 Professional Video Lessons where we will walk you through everything you need to know to bring in more customers, more repeat sales, and more revenue within the next 30 days using incredible Email Marketing Tactics. 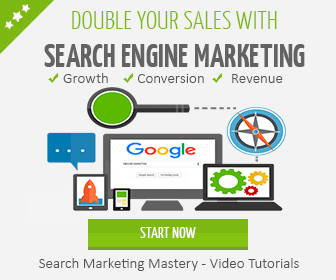 6 and a half hours of video training that will help you kick-start your search engine marketing program and strengthen your customer growth. 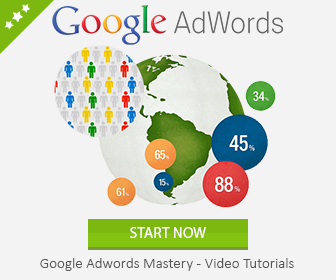 Ranking high on Google is essential if you want to earn passive income in a BIG way. 4 hours and 10 minutes of Video Lessons where we will walk you through everything you need to know to dominate Google like an Adwords guru. This course alone can bring in 1000's of new clients at a price that you'd never get without this knowledge. 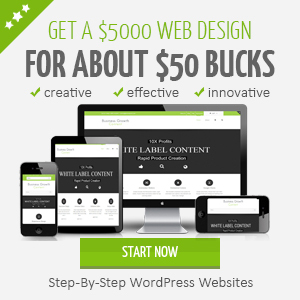 5 hours of amazing Video Lessons that will hold your hand and walk you through everything you need to know to create websites that look like they cost you $5000 to create. With this knowledge you'll be able to enter any niche you want without needing anyone to help you. GET ALL 4 COURSES FOR LESS THAN THE PRICE OF 1! Instant Access To All Three Courses... Even At 2AM In The Morning!